The Flames of War wargamers were out and about yesterday with a large Late War Word War 2 Russians versus the Germans game outside the Paradigm Infinitum store at Fusionopolis in Singapore. As you can see, it was a large table and at the far end were two large tank forces. The near end of the table was an infantry on infantry area. From what we can see the boys were enjoying themselves. This game was also on the weekend that the Paradigm Infinitum folks were having their warehouse sale. I trust the sale was successful for them as I certainly enjoyed rummaging around in the warehouse looking for a special or two. 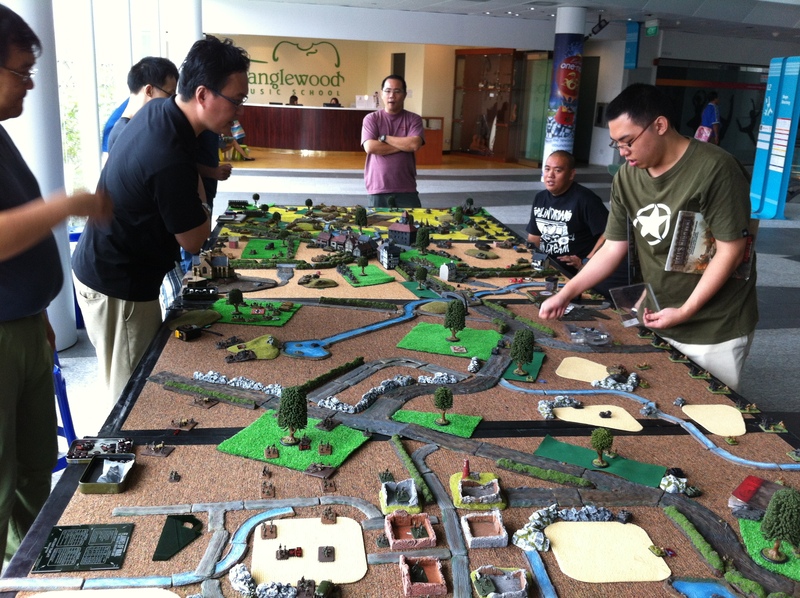 Wargaming in Singapore is looking up.